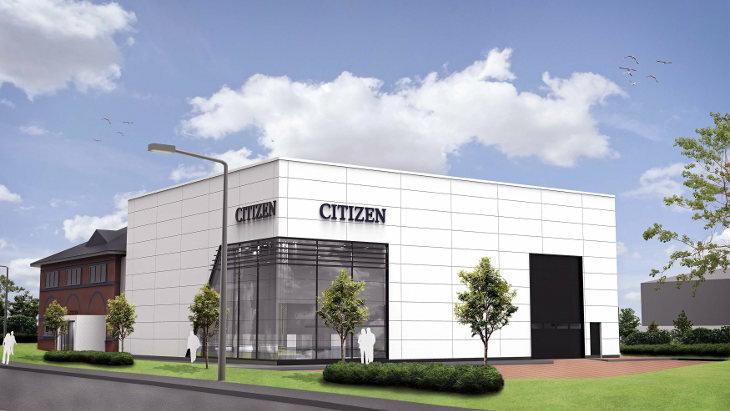 The British and Irish subsidiary of Japanese CNC lathe manufacturer, Citizen, has opened a new centre of excellence on a 1.1 acre site at Hurst Business Park in Brierley Hill, West Midlands. It houses a showroom, international conference area, customer training school, applications engineering department and administrative offices. Additionally, the 1,660 square metre building close to Birmingham provides extra space for preparing an increasing number of high-value, automated turnkey installations complete with programs, tooling and accessories. Both at home and overseas, OEMs, first-tier suppliers and subcontractors are asking for production solutions to be delivered in weeks rather than months to fulfil new business requirements. Deputy managing director Darren Wilkins explained, “Our headquarters, where a majority of office-based staff is located, was designed for the traditional Cincom sliding-head business. Now, however, following the UK merger of Citizen and Miyano in 2011, additional space is needed to support growing demand for the latter’s fixed-head, 51 mm and 64 mm bar capacity turning centres. “We have become a victim of our success, which saw Citizen grow to be market leader for sales of bar-fed CNC lathes in the UK and Ireland in 2018. Our sliding-head auto market share has increased, while we also had our best ever year for fixed-head machine sales. New personnel to add to the current headcount of 54 are being recruited to work in the new centre, including staff for software development, applications engineering and machine servicing. These will be in addition to four people already working at a pre-existing building nearby, the former home of Miyano UK before the merger, which will remain a satellite facility as forward orders are so high that the space will be needed to prepare installations.